It’s imperative to create strong coalitions with other job attraction partners and work collaboratively to help ensure a bright future for all Arizonans. Above all else, one quality helps build a winning culture in economic development. For me, it’s imperative to create strong coalitions with other job attraction partners and work collaboratively to help ensure a bright future for all Arizonans. 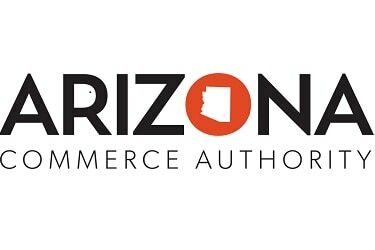 That’s why I am proud that the Arizona Commerce Authority (ACA) remains a key partner in the Greater Phoenix Chamber of Commerce Phoenix Forward economic-development initiative, along with the City of Phoenix and Maricopa County. Phoenix Forward targets three key sectors of our economy: Healthcare, Advanced Business & Financial Services and Transportation & Logistics. Attracting new companies to these high-growth, high-paying sectors is important. But what sets Phoenix Forward apart is its strategy to focus solely on retaining and expanding existing companies within these sectors. This is important because when you delve into job-growth statistics, you’ll discover that 80 percent of new jobs are created from the expansion of existing companies. Since its inception two years ago, the Phoenix Forward team has visited more than 2,000 companies and helped connect many of them with state, county and city resources, workforce programs, as well as financial assistance and technical tools. It makes sense to invest in the companies that are already helping to shape our economy. This “build from within” philosophy is the cornerstone of the Phoenix Forward philosophy. It also complements our mission at the ACA. We take a three-pronged approach to advancing the overall economy: recruit, grow, create – recruit out-of-state companies to expand their operations in Arizona; work with existing companies to grow their business in Arizona and beyond; and partner with entrepreneurs and companies large and small to create new jobs and businesses in targeted industries. We have an excellent team and a robust suite of programs dedicated to expansion efforts. • Intel, the world’s leading chipmaker, announced a $7 billion expansion and plans to create an additional 3,000 high-quality jobs at the most-advanced semiconductor facility in the world. • Raytheon, a global missile defense manufacturer, announced plans to significantly expand its Tucson operations, creating more than 2,000 projected technology and manufacturing jobs. • ADP, the global HR company, announced 1,500 new jobs in Tempe, and will increase its Tucson employment to 400, bringing statewide employment to nearly 2,000. • Orbital ATK, a leading aerospace and defense manufacturer, announced plans to expand both its Chandler and Gilbert facilities, creating a total of 655 projected new jobs. • ZipRecruiter, a market-leading hiring platform, surpassed its three-year hiring projections in just one year. Its Tempe location is now the company’s largest single office, housing over 200 employees. This success is due in large part to Governor Ducey’s efforts to make Arizona the best place for business – and for his leadership in helping top global companies expand in the state. His vision of modernizing our government and building an innovation economy has become a reality. When we work as a team, economic development opportunities abound. Here’s to moving Phoenix – and all of Arizona – forward! – Sandra Watson is President & CEO of the Arizona Commerce Authority.